Whether you’re just starting to learn Python, or you’ve been working with it for awhile, take note. The lovably geeky Nick Parlante – a Google employee and CS lecturer at Stanford – has written some awesomely succinct tutorials that not only tell you how you can use Python, but also how you should use Python. 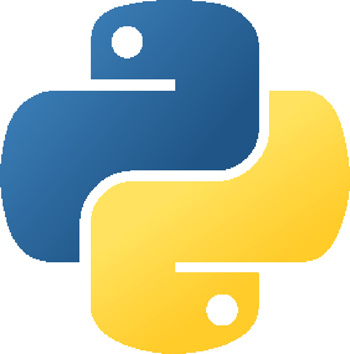 This makes them a fantastic resource, regardless of whether you’re just starting, or you’ve been working with Python for awhile. The course also features six YouTube videos of Nick giving a lesson in front of some new Google employees. These make it feel like he’s actually there teaching you every feature and trick, and I’d highly recommend watching all of them as you go through the lessons. Some of the videos are longish (~50m) so this is something you want to do when you’re sitting down and focused. And to really get your feet wet, there are also downloadable samples puzzles and challenges that go along with the lessons, so you can actually practice coding along with the Googlers in his class. They’re all pretty basic – most took me less than 5m – but they’re a great chance to practice what you’ve learned. Plus you get the satisfaction that comes with solving puzzles and successfully moving through the class. Did I mention it’s all available online, for free? The class is especially cool for people with some programming background in another language, since he draws a lot of comparisons between how to do things in Python versus how you might expect to do them in other languages. For any aspiring Python gurus, I’d highly recommend finding three or four hours on a weekend, or a few minutes each night to read his tutorials, listen to his talks and try solving his puzzles. You’ll be writing awesome Python code in no time! Hattip to Eddy Chan. My next step is The Hitchhiker’s Guide to Python and re-reading Dive into Python. Are you a hacker hoping to turn your weekend project into paying customers? Be sure to check out Marketing for Hackers, a step-by-step guide I’m working on to help you turn your app into a business.